Well trying to keep better timing writing on this project so here we have the next installment. So here we go! Now that most of the stone on the first floor was applied. We started thinking about the clapboard siding on the upper floors. With this, there are many avenues we can use. Plastruct and Evergreen make a very fine product with their styrene sheet siding. Also basswood siding sheets available work quite well too. But we wanted to take a different approach. Back in the late 1970's I remember picking up a lot of RMC magazines from a yard sale. In an issue for the 1940's I believe was an issue showing how to make clapboard siding sheets for your modeling projects. At the time I was modeling in O and HO scales so this was a godsend. Even in the 1970's and being a 14-year-old kid in the hobby with 3 paper routes & working in a cabinet shop, $1.75 a sheet for a styrene siding sheet was a lot of $$$$. Making this isn't as hard as one might think. But to warn you, it is a tedious process. But one that pays out in the end. 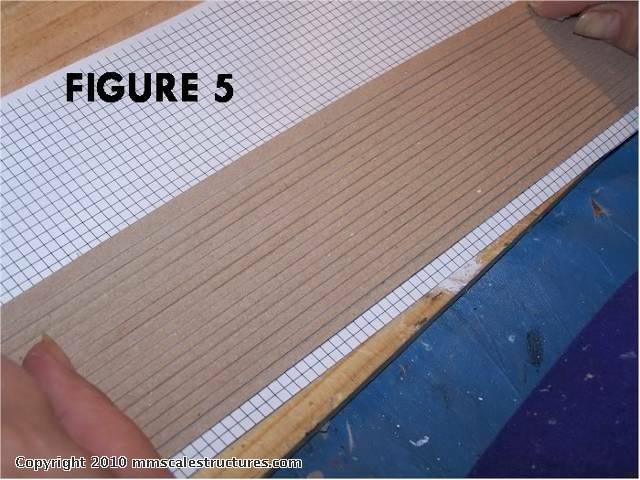 The paper cutter makes cutting the strips a breeze to simulate the clapboard. 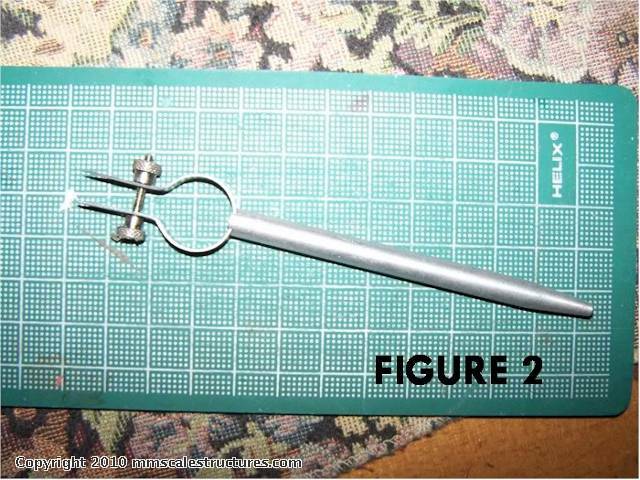 Also using a double blade knife like shown in Figure 2 can help speed the process. If none are handy, just a plain old X-acto knife and straight edge will do. 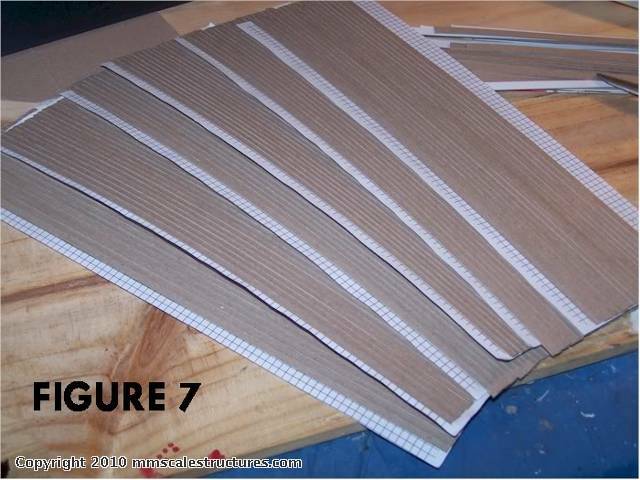 I remember the material in the article back then said they were using "Chipboard" for the siding material. The material we are using is something of the same. 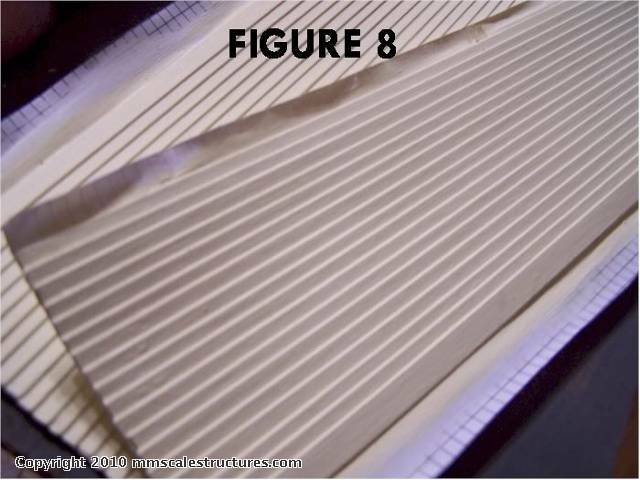 It is a kraft board material on one side and the reverse side is a bleached sulfate (smooth white). I like using this from experience in the past. The beached sulfate side makes a great board side for this project. An artist supply house in our area sells this board also called "Project Board" so some places in your area might have it under that name also. I have a friend how likes using 110 to 135 lbs paper stock for this type of project too. I find that better for smaller scale model railroading but for O scale, we find this works the best. We decided on a 6" O scale reveil for the clapboard face. On older prototype homes the reveil of the siding (The exposed face of siding) can vary from 3" (Standard on most Cape Cods) to 8". On this project we are using a 6" O scale reveil or 1/8" exposed. This will give it a nice suited look to it. First, we cut our project board into 1/4" wide strips. This will give us enough for the "lapping" of the siding.. This is where we use our paper cutter. It made cutting the strips a breeze but the standard knife and straight edge work fine too. Just becomes a bit time consuming. 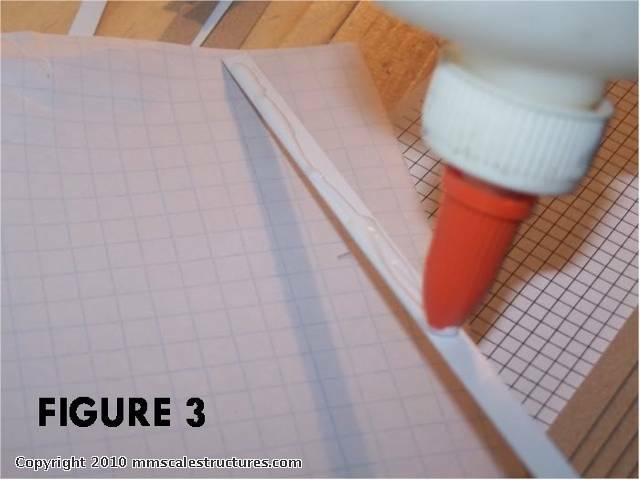 Next we take a sheet of 1/4" graph paper and place it on your work surface. You might want to tape the corners down to keep it from sliding around on you. We put a thin layer of white glue on it to help with the gluing. Taking one of the strips, we white glue the bleached sulfate side (White Smooth Side & Figure 3 & 4) and place it perfectly inside the ¼ graph lines. This is the starter course of the siding on our sheet. 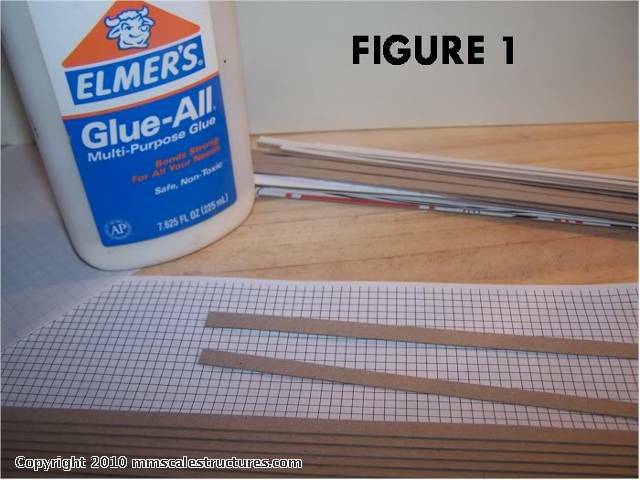 Again we apply glue to another strip and now apply it to 1/2 of the 1/4" graph grid. 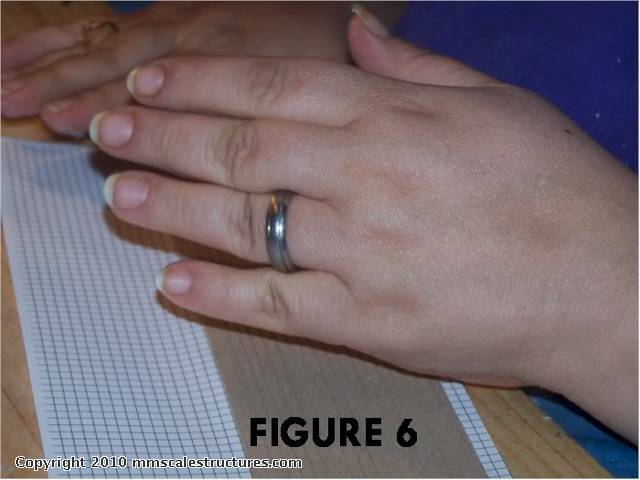 (Figure 5) . By going 1/4 way in the grid, it gives us a 6" O scale reveil to the siding. Nice and easy (but tedious) , no fuss, no muss. It also creates a slight bevel to it giving it the "lapping" effect that siding has. You can use an O scale rule or a standard ruler marked in 1/8" increments to help you staying even along the way. 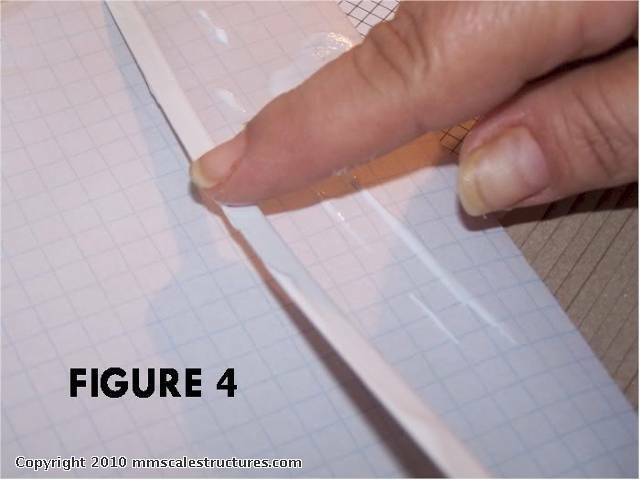 Keep repeating this step to you reach your desired size of the sheet.. Just remember to press firmly as you go along (Figure 6). After a sheet is done, you might want to place a heavy book on it so it keeps pressure on it as it dries. After the sheets are dry (Figure 7). Take the sanding sponge and lighty sand off any excess dry glue that might be on the exposed area. This will stop any spotting while painting which is the next step. Paint the siding sheets the color you choose using acrylic paint. Two coats might be possible. Then after the paint is fully dried, use the good old Krylon Acrylic Crystal Clear Flat Spray (Krylon # 53530) & spray the whole area and let set (Figure 8). After they all dry, they are ready for use. Install it on your project using Walthers GOO, Silicone adhesive, contact cement or even more Elmer?s white glue. Now we are ready for the next stage in the next installment.